Although not as well-known to most people as its close relatives the Blue whales and Fin whales, the Minke whale is a species that should be of much interest to anyone concerned with the conservation of whales and their habitats. Minke whales hold the unfortunate distinction of being the only baleen whale species that is still commercially hunted on a large scale. 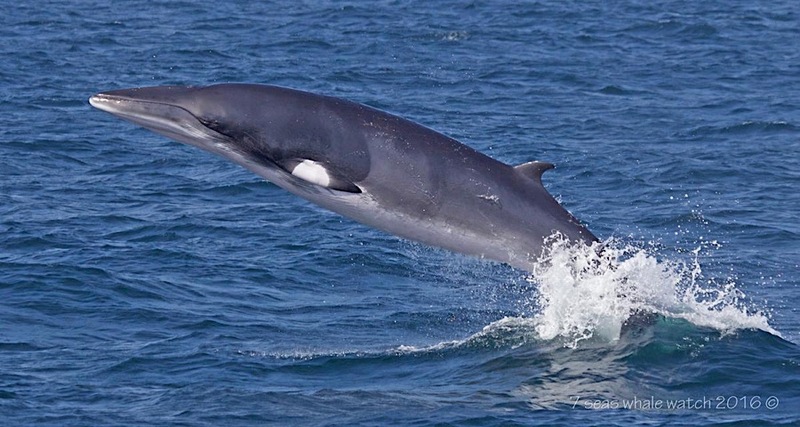 Minke whales are hunted mostly in the Southern Ocean, although in recent years there has been an ever-increasing number of Minke whales hunted in the northern hemisphere as well (especially around Norway and Iceland). In the Southern Oceans around Antarctica, a fleet of Japanese whaling ships still takes an annual quota of 880 Minke Whales each year. Recently (Spring 2005) Japan also announced plans to take fifty Humpbacks and fifty Fin Whales from these same waters each year as well. While the Minke Whale (including the Antarctic Minke which was recently designated as a distinct species: Balaenoptera bonaerensis) is not thought to be an endangered species, we know very little about their actual abundance, distribution, migration, breeding cycles, population trends, reproductive rates, food requirements, or many of the other essential bits of information that wildlife biologists need in order to determine how many animals could be safely taken from the population without endangering the long-term survival of that species (or a given population of that species). Therefore most marine scientists and environmentalists are uncomfortable with the taking of any Minke Whales until more is known about their biology and natural history. Concerning the fifty Humpbacks and fifty Fin Whales that Japan has proposed taking, those species are still endangered, and the particular populations that the fifty whales would be taken from are amongst the most endangered and least studied populations of these whales on the planet. Removing just fifty whales per year from these populations could seriously affect the whale’s ability to recover from past hunting. 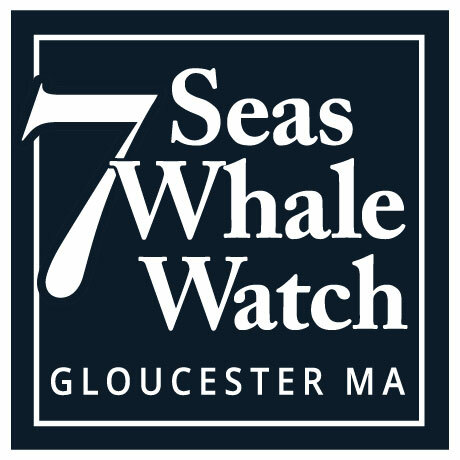 In our study area, the waters of New England and the southern Gulf of Maine, Minke whales are fully protected. In fact, Minke whales may well be the most abundant whale species on Stellwagen Bank and Jeffrey’s Ledge. But, despite their often times ubiquitous presence, Minke whales are not nearly as well studied as their larger cousins in the area: The Finback, Humpback, and Northern Right whales. This is partly because Minke whales are small by whale standards, averaging “only” 15-22 feet long when fully grown. Because of their smaller size (and therefore reduced lung capacity) they do not produce the highly visible spout that Humpbacks, Fins, and other “great” whales do. This fact, combined with their fast speed and shy nature, makes them difficult to observe in the open ocean. When you do happen upon a Minke at close range, however, one field mark that you will no doubt notice is the two white bands across their pectoral fins. These are called “Minke mittens” and may be used much like the white lower jaw of the Fin whale… to concentrate prey while feeding. Minkes are occasionally seen engaging in surface activity such as breaching, although much less frequently than Humpbacks and usually only on the roughest weather days we go out in. As with other whales species, surface active behavior amongst Minke whales probably happens for a number of reasons (ie removal of parasites, aiding in digestion, or simply for fun/play), but communication is almost certainly a primary reason for surface active displays. This may be why we most often observe active Minke whales on “choppy” days. As the sound of wind and wave action at the ocean’s surface increases and the resulting noise starts to mask the whale’s underwater vocalizations, the whales may use surface activity to keep in contact with one another. The sound of the Minke whale’s body crashing into the ocean’s surface makes a lot of noise that can travel tremendous distances through the deep, sound-scattering layers of the ocean. Minke whales also sometimes display curiosity towards boats, just as other whale species such as Humpback as Gray whales do. The photograph you see above this paragraph was taken when a Minke whale unexpectedly approached our whale watching boat for a closer look, thus giving me a rare opportunity to photograph this often elusive species. I’ve always liked this photo. The lighting was very unusual, and the whale was so close I had to zoom out and use my zoom lenses widest setting. This combination accidentally created a very unusual photo of a very mysterious species. Sometimes the best photos happen by accident and when you least expect it!